Several A-list personalities from Kim Kardashian to Kate Middleton swear by seaweed-infused skincare. Having come a long way from just being an ingredient in sushi, seaweed has come to become something several big skincare brands offer in their products. Be it spirulina or sea kelp, seaweed is undeniably beneficial for beauty and health. Mostly people are obsessed with avocado and aloe, but people aren’t more people aware of the advantages of seaweed. The nutrients in seaweed are formidable. Seaweed is a type of algae that contains proteins, vitamins, minerals, and antioxidants. Some varieties even have Omega 3 fatty acids. 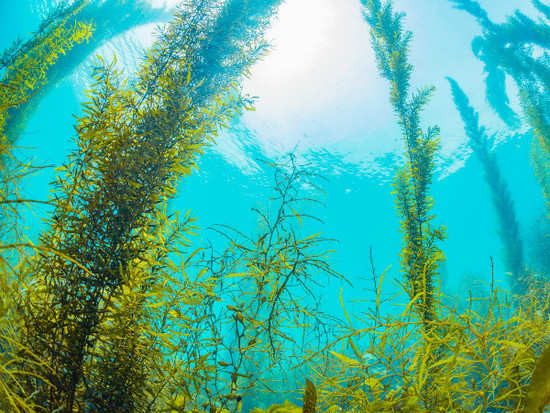 These nutrients, which range from cell-building amino acids to cell-repairing vitamins and minerals, not only help seaweed survive in extreme conditions underwater, but also lend our skin the same strength when applied or eaten. These marine creatures are brimming with chlorophyll, which means they can help undo skin damage and inflammation, boosting the overall health of our skin. It is also amazing for your hair. You might have seen shampoos enriched with sea kelp, algae, seaweed, and other such ingredients. Great for fortifying hair and helping it build itself into stronger, thicker locks, seaweed is also very hydrating for your hair. You know the best part about seaweed skincare is that it suits people with extreme skin issues and sensitive skin as well. While products with a lot of fragrance or chemicals can harm any skin type, seaweed by itself, is not harsh or harmful to any skin type. In fact, it’s known to help with rosacea, oiliness, dryness, and damaged skin, making it suitable for a wide range of skin types. 5Nutritionist, Divya Ranglani gives tips as to how working women should snack whilst at work! 8Dior’s Lacquer Plump lip stain is the product you need to complement your summer looks with! 9EXCLUSIVE! Debina Bonnerjee shares some tips about fitness, beauty & travel!